In the conference room I slide into a swivel chair at the table and Mr. Thomas pulls up at the front of the room, doing a ten point turn to get his chair facing towards everyone. He commands the meeting, guiding the conversation between the employees at the table and those speaking through Skype on a huge monitor on the far side of the room, and as I look around me I think that most of these people, if they didn’t know him and saw him on the street, would throw quarters at him but never respect him. As the meeting goes on and I scribble notes franticly, I notice that Mr. Thomas isn’t straight in his chair. All the jostling of getting into place at the conference table must have shook something loose. He’s sagging slightly to one side, his chest straining against the strap that is supposed to be holding him up. He keeps on talking as though he hasn’t noticed, but his head is dangerously close to the very far edge of the U shape of its support. I know his arms aren’t strong enough to straighten himself out and gravity is going to continue to pull him to the side. I look around the table and people seem tense, eyes wide. They must have noticed too and don’t know what to do any more than I do. Since there’s nothing to be done, I concentrate on what he is saying. He’s going to be counting on having my notes. As I try to focus, I narrow in on just his mouth as it moves. His lips are long and full and I realize he has rather a beautiful mouth. In fact, for the first time I notice just how handsome he is. His jaw is firm and square. He has the face of someone you’d expect to see playing football in Cambridge in 1925. Oh God. He’s caught me staring at him and I’m about to get fired. I tried so hard not to follow in the footsteps of all the secretaries before me and I failed. I do as he says and turn meekly back to him. “Oh, yeah. Sure, of course.” I’m so relieved that I’m smiling like the most relaxed person in the world even though I’m about to wrap my arms around my boss and help him to sit up. “What should I do?” I ask. 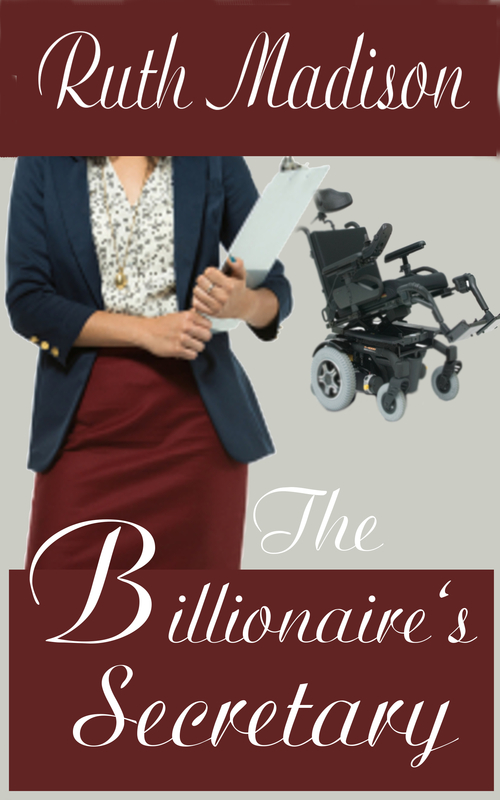 I come around his wheelchair, giving a wide arc to his legs as they stick out on their supports, and I place my hands against his shoulder and the side of his rib cage. It’s such a strangely intimate moment and I do my best to ignore the delicious scent of his skin as I heave his body back upright. I feel along the seatbelt material of the strap until I find its clasp and I pull it a little more snuggly against his chest. Again I follow him down the corridor as we return to his office. We keep working as though we had not just shared that moment. I’m feeling quite confused. On the one hand, Mr. Thomas is as intimidating as ever. On the other hand, I’m starting to see the human side of him. This book is part of our digital-only line and will be available as an ebook but not a physical book. Thank you! I’m practically shaking with excitement myself! It’s been a long time since there’s been anything new from Ruth!